Voltaware is a London-based startup that has developed a solution that enables individuals to monitor their energy consumption. 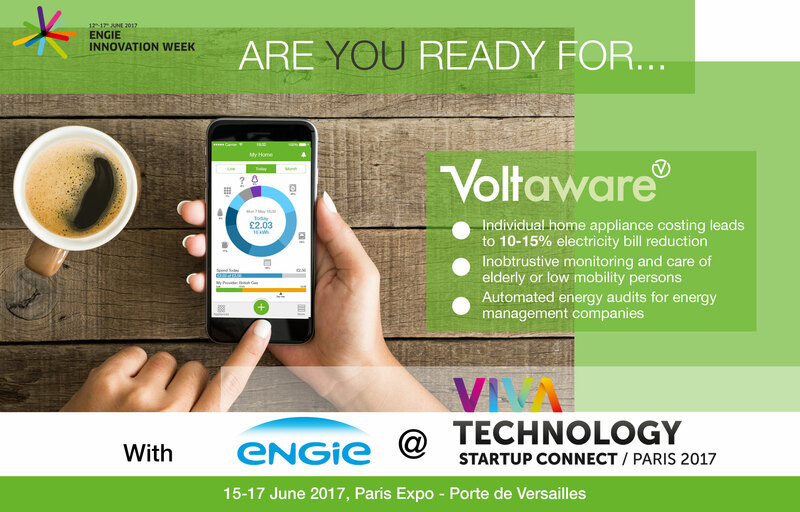 Voltaware will join us at Vivatech at ENGIE's Energy Lab. Jérôme Mosnier, its sales manager, answered our questions. Hello Jérôme, can you give me a quick introduction to Voltaware? We are a young start up. The company was created a little over two years ago. We are based in London but are truly an international team, with people from six different nationalities! We come from the telecommunications world rather than the energy business. We came up with the idea of Voltaware by comparing people’s telephone bills and electricity bills, starting from the fact that on a phone bill, you know exactly who called, how long the call lasted, and how much it cost. On an electricity bill, there is an amount to be paid and no other detail. So that's what Voltaware does: gives you a picture of what you consume, where your money is going, what appliances consume the most and when. A sensor is installed in the fuse box on the main circuit breaker. The sensor is then connected via WiFi to your router, which transmits the data to a cloud-based server where it is analyzed. The information is then sent in easily-understandable form to a mobile application. This feedback happens in real time: information is available in eight seconds maximum. Q: How is your solution innovative? The application allows us to communicate with the user to help them optimize their energy consumption. Over the next few months, we will be increasing our commitment to our users by offering comparisons with similar homes, setting up games to help them lower their bills, and offering advice.The product functions I just described were developed by speaking with users and integrating their feedback and suggestions. This probably comes from our "telecoms" background, the “user-first” approach. For example, Voltaware offers home-care support for the elderly, since it helps identify if and when a person stops using their electrical current and allowing us to send out an alert. This feature was set up after we had a discussion with insurers! Q - What are you going to show at Vivatech? We will of course be showing our single-phase product, the one I just described, which is intended primarily for individuals and small SMEs. But it will also give us the opportunity to present our new three-phase product for businesses and communities. 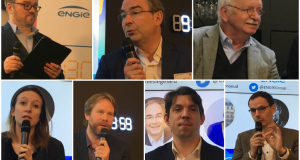 Q – ENGIE and Voltaware are already almost old friends, right? On our scale, yes, since we’ve been in contact with several ENGIE entities like Cofely and Endel for over a year about subjects like building maintenance and energy audits. We also won two calls for projects launched by ENGIE Fab. The call for projects launched with Unibail Rodamco has actually given us the opportunity to install our sensors in two groups of buildings at La Défense. And the call for projects about "citizens as actors in the smart city" gave us the chance to address the issue of energy poverty. We installed sensors in households in low-cost social housing in order to help monitor consumption, identify appliances that consume too much allow residents to lower their bills. Q – What does the future of energy monitoring look like to you and what role will you play in it? 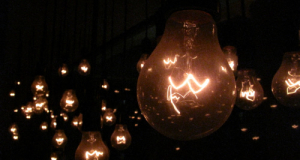 It’s no longer possible to not monitoring your energy consumption. Governments across the world are focusing on reducing energy consumption. And to lower consumption, you need to know what you consume! Our solution has all the functions that energy companies are looking for in terms of agility and flexibility. Our sensor can fit into your pocket, it can be moved easily, and allows you to easily conduct successive audits. We’re different from our competitors in that . At the moment, most companies are concentrating more on optimizing energy use in the service or industrial sectors, but individual homes represent an enormous source of energy consumption (and potential savings) and our solution perfectly meets their needs, especially since monitoring and reducing consumption are becoming increasingly important. Q- What do you expect to get from being at Vivatech with ENGIE? We actually didn’t know about Vivatech at all before. So beyond getting exposure among new customers, being at Vivatech with ENGIE will help us to better understand the Group’s various entities and to identify the best ones for helping us integrate Voltaware into their operational projects.Our sensor can be used anywhere, so it can be used to satisfy various needs the Group encounters worldwide. Q - And here’s our last question: actually, it’s your turn. What question would you have liked me to ask you? 98% accurate on total energy consumption in homes. 99% accurate about voltage. Ours is the the only solution that can feed you data on the voltage in real time. Also, the tests highlighted how easy it was to install our solution, with a record installation time of 45 seconds! So our product both extremely precise and very easy to install, which should open a lot of doors when it comes to combatting energy waste.